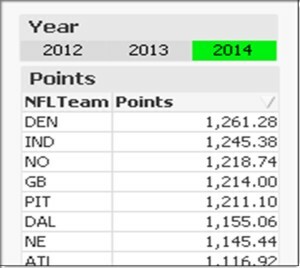 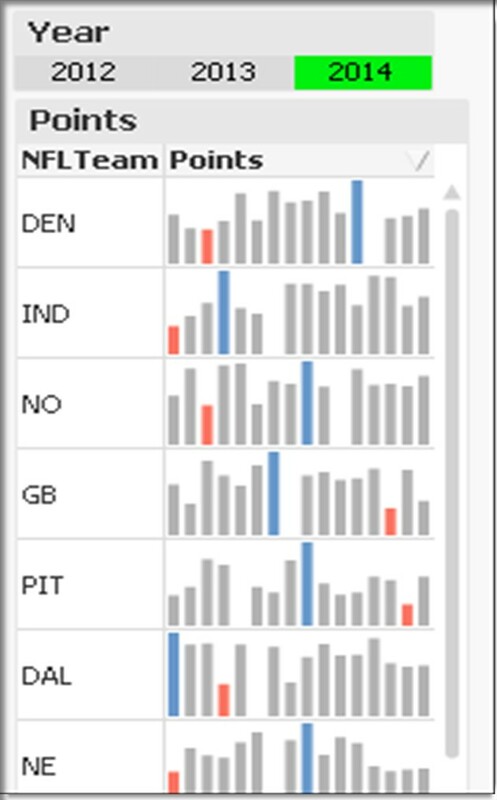 I have been working with fantasy football data for a while now, so it is fun to come up with new ways to display the data. 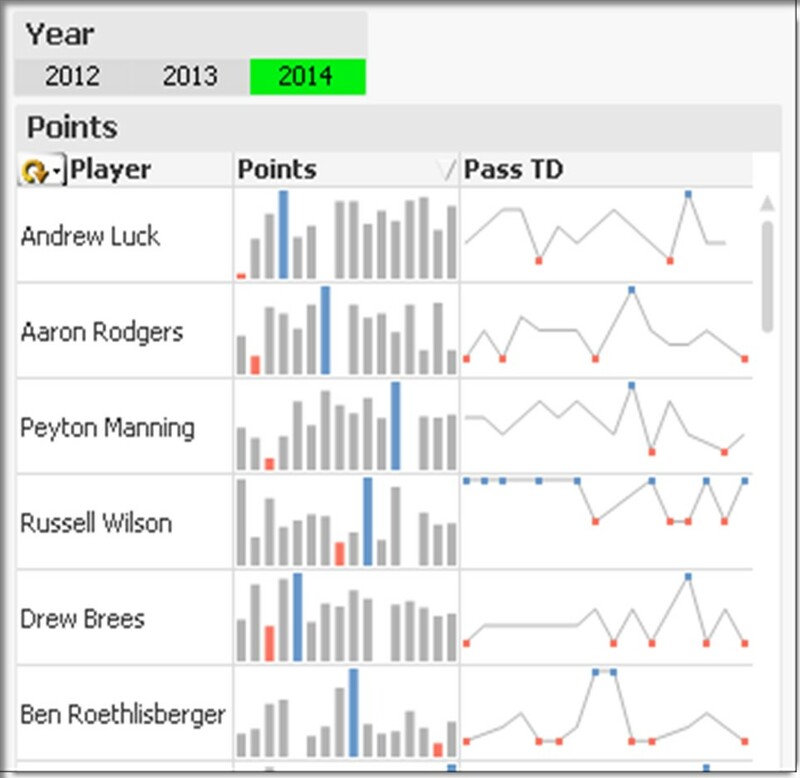 At the same time, it has been a great way to learn about the various features and objects available in Qlikview. 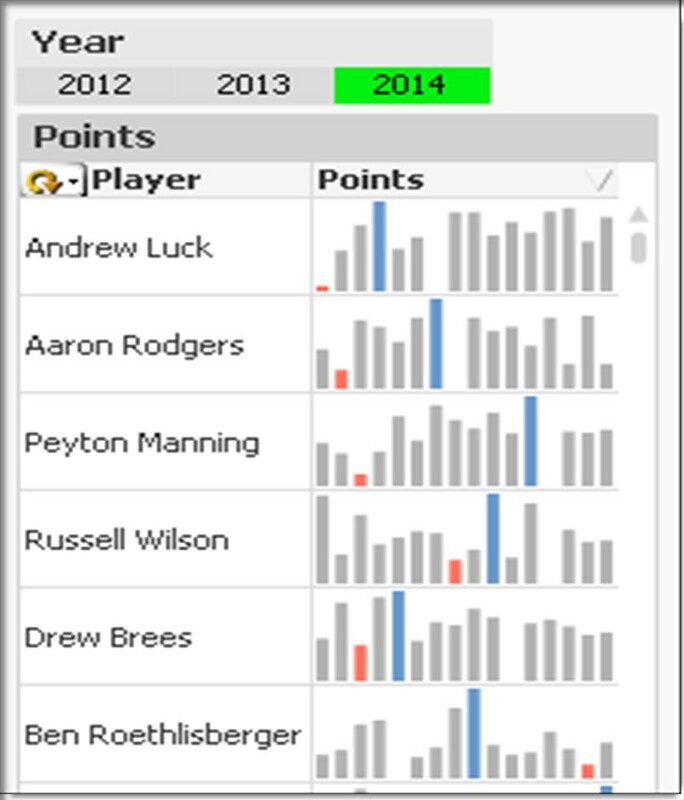 In this example, I am going to show you how to setup a Qlikview Mini Chart. 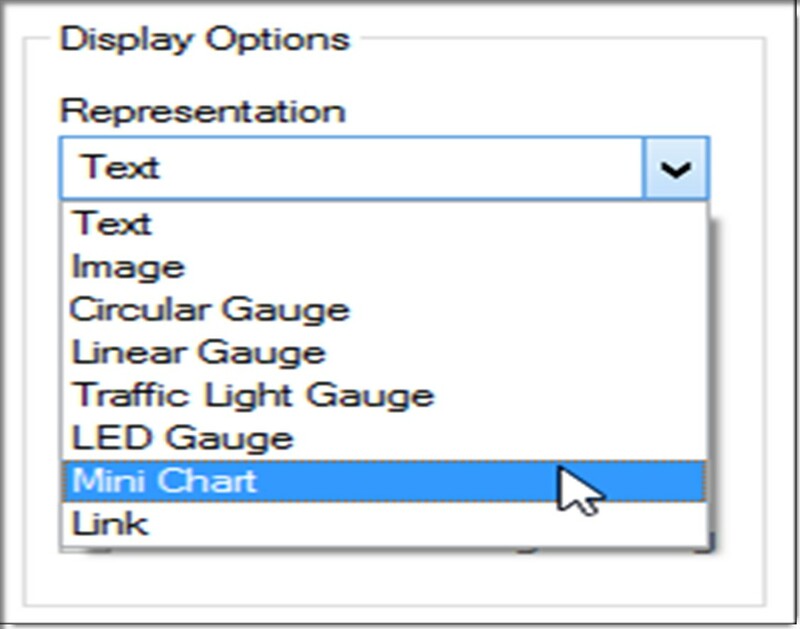 The Qlikview Mini Chart is a representation mode for Straight Table Chart cells, and displays the expression value in a miniature chart with the expression aggregated over an extra dimension field. 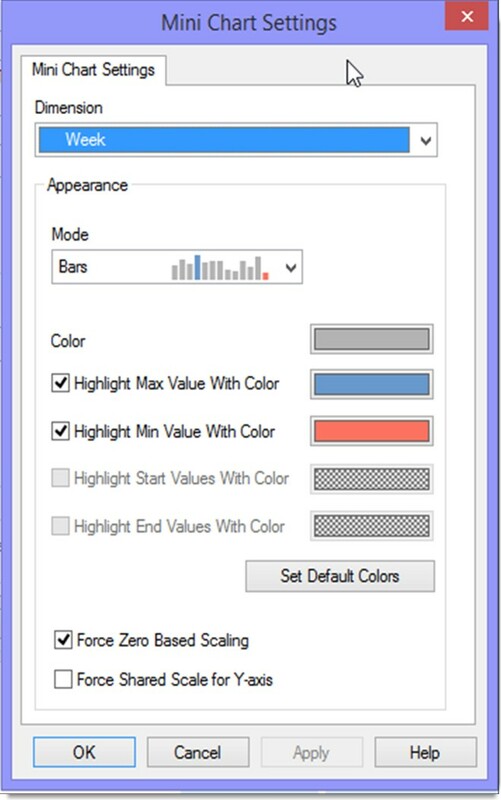 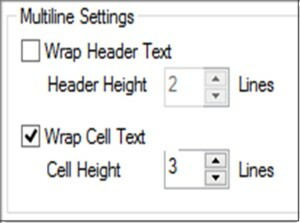 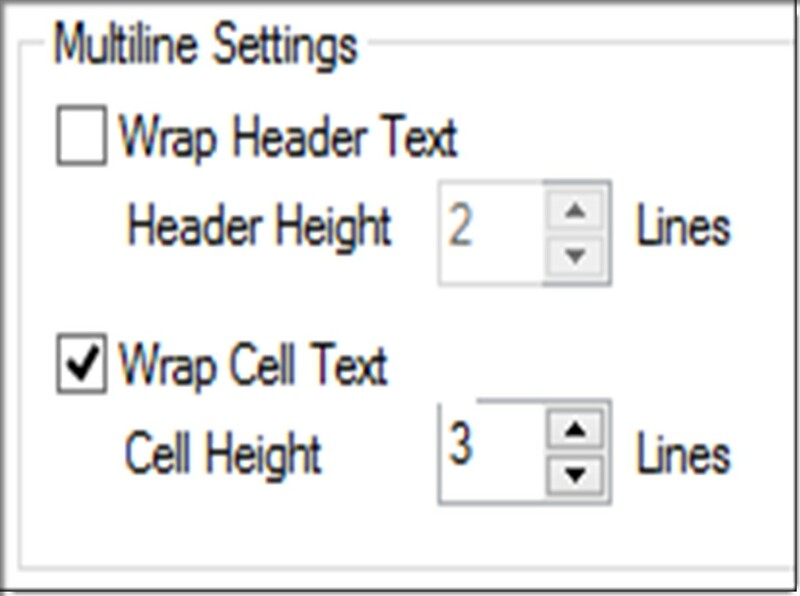 The chart will be drawn in the available table cell, and the mini chart dimension can be defined and visual settings for the chart can be modified via the Mini Chart Settings button. 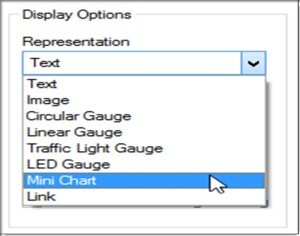 Mini charts will not be displayed when exporting to Excel. By using this technique, you have the ability to display additional information in a nice visual format. 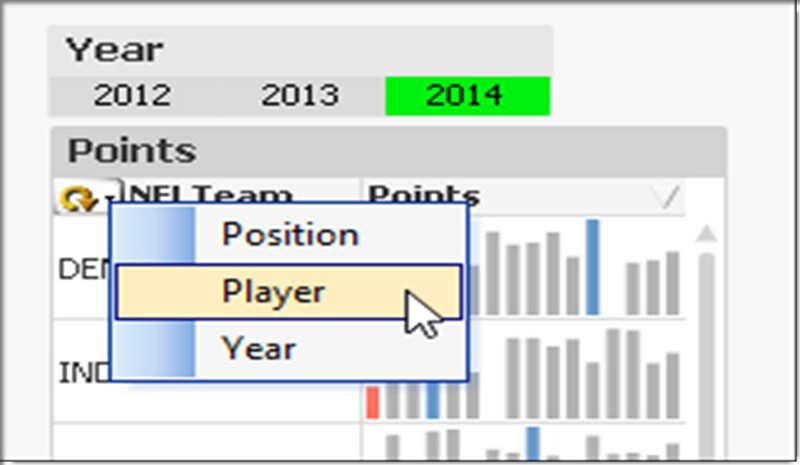 Using Qlikview Mini Charts is also a nice way to add good comparison features to your charts, making use of less real estate on your dashboard.